Posted on November 30th, 2018. Barbados is one of the most popular islands in the Caribbean for British, American and Canadian Holidaymakers. The destination first became incredibly popular when Concorde chose this stunning island as its only holiday destination. The first Concorde flight to Barbados was in 1977. With a flying time of just four hours, Concorde passengers would land in Barbados before they took off in London! 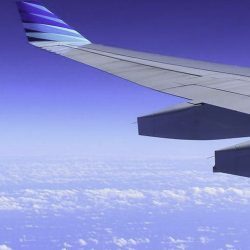 Famous passengers included Elton John, Sting, Mick Jagger, Pierce Brosnan and many members of the Royal family. 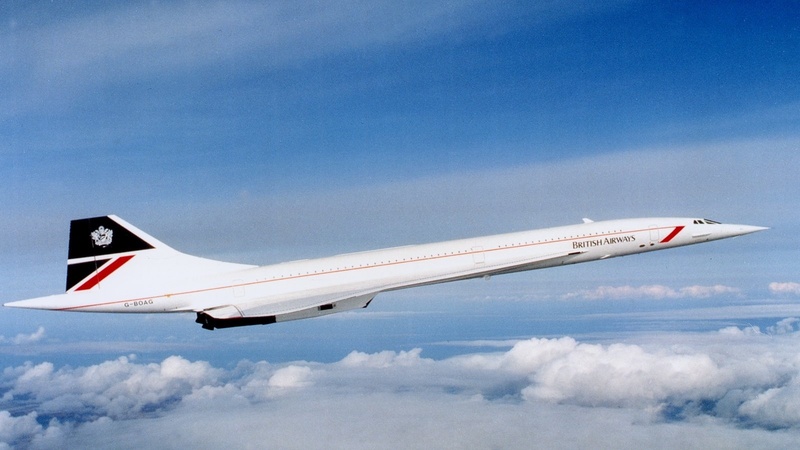 Even Queen Elizabeth famously flew Concorde to Barbados. It was around this time that some of the most iconic Barbados Holiday Rentals were built. Famous architect and artist Oliver Messel came to Barbados in the early sixties and built some of the most luxurious Barbados holiday rentals on the exclusive West Coast of the island. Properties such as Leamington Pavilion, Crystal Springs, St Helena, Mango Bay and Fustic House were all designed by him. Oliver Messel’s designs were unique, and his influences may be seen to this day in holiday rentals throughout Barbados and the Caribbean. He was greatly influenced by the traditional colonial houses and mansions from previous generations. 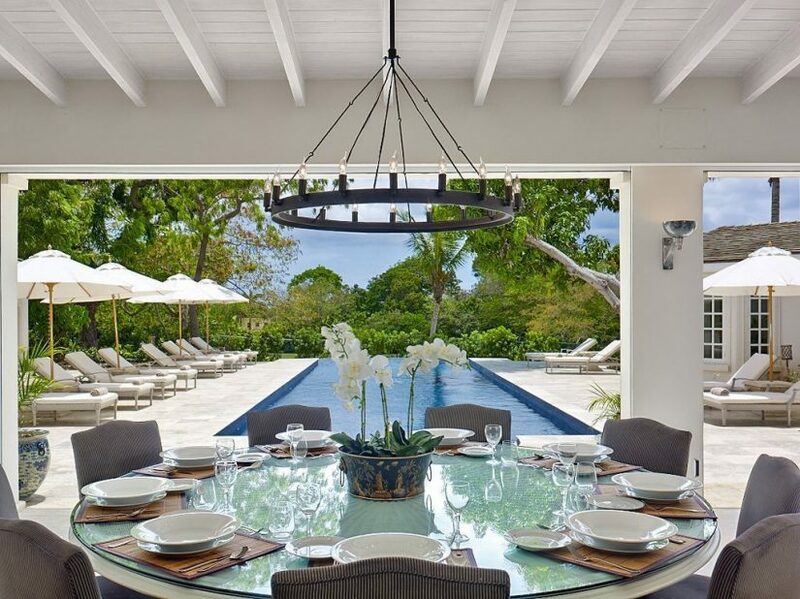 He was one of the first architects that really embraced the beauty of indoor-outdoor living in Barbados. His passion was to create the most exquisite outdoor space and then to allow that space to flow seamlessly inside. He was also passionate about creating picture windows and archways that framed the incredible views of the turquoise sea. Almost all the original iconic Barbados Holiday Rentals were designed by him. Maddox House was Oliver Messels first Barbados house. 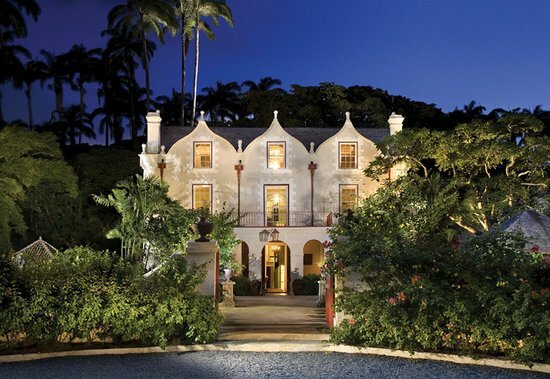 Originally a modest property, he transformed it into a beautiful Barbados home, and Maddox House, in turn, provided him with both the footprint for future designs and the perfect property to showcase his talent to all his wealthy friends and relatives who subsequently came knocking on his door to design holiday houses for them. 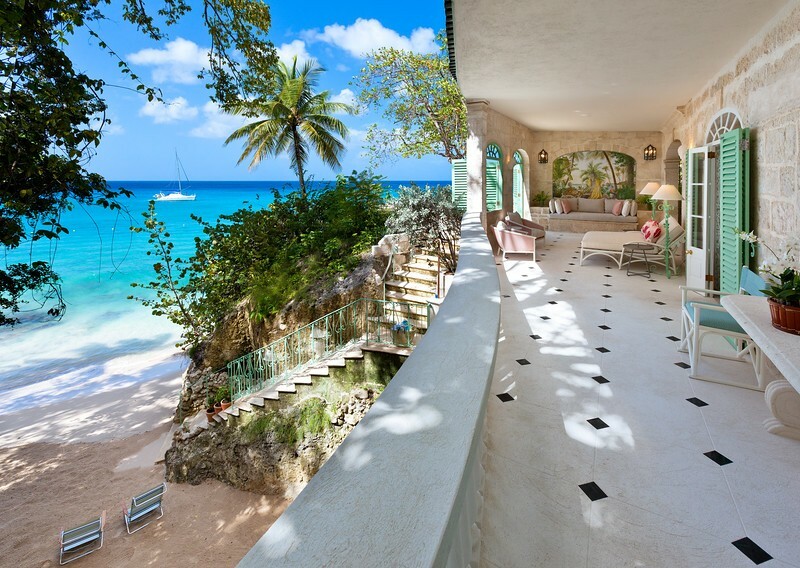 One of the best examples is Crystal Springs which is still to this day one of the most beautiful and iconic holiday rentals located on the West Coast of Barbados. Everything about Crystal Springs is exquisite. The gardens have the romance and beauty one might find in an Italian Mansion combined with the lush green, colour and exotic smells that come with being in the tropics. 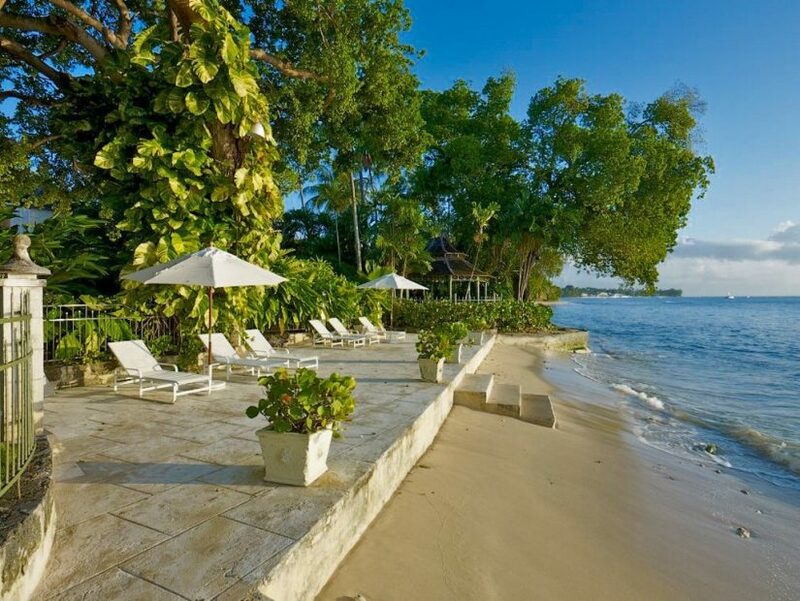 With ten bedrooms, it is one of the largest beachfront holiday rentals in Barbados. Crystal Springs Barbados is most definitely an exquisite Messel masterpiece. 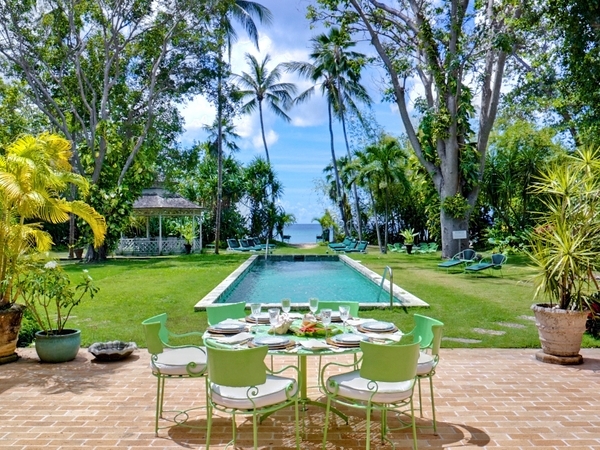 Leamington House and Leamington Pavilion were another one of Messel’s beautiful creations that continues to this day to be two of the islands most popular luxury holiday rentals. Leamington Pavilion is located directly on the beach with a stunning pool that flows beautifully from the covered terraces of the house to the sea. Leamington House is a wonderful example of a recreated colonial house and is just one minutes’ walk to the sea. Mango Bay Barbados is another great example of Messel’s incredible talent. 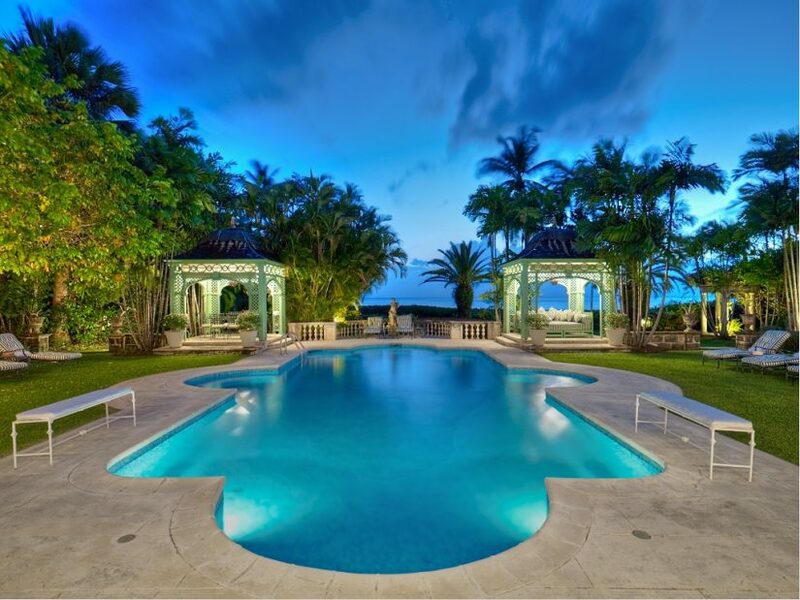 It is a gorgeous 7-bedroom mansion located on Barbados’s west coast in St James. Mango Bay was one of the only houses which Messel actually designed from scratch. 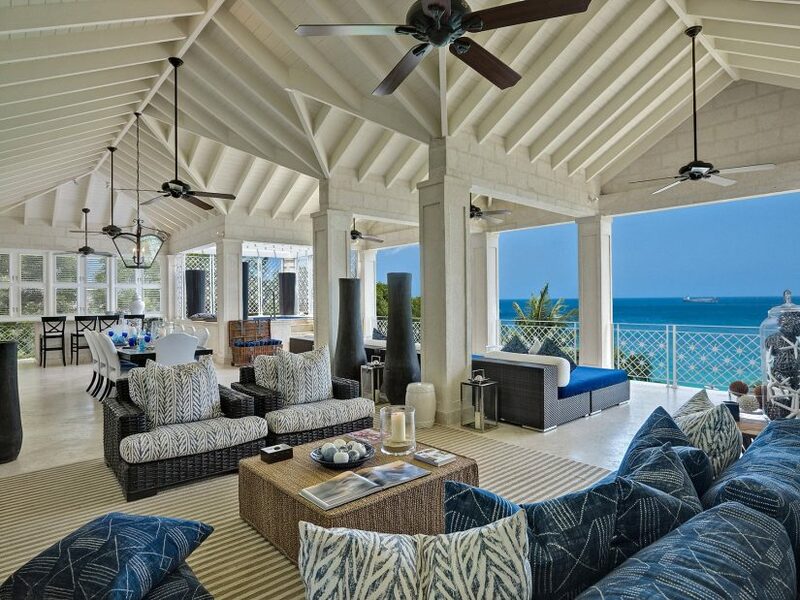 This seven-bedroom beachfront house is located on Reeds Bay and has one of the most beautiful covered terraces of any holiday home in Barbados. It also has a stunning beachfront gazebo where you can enjoy leisurely lunches and breakfasts with friends and loved ones. I wonder did Oliver Messel realise before he died in 1978 just how much pleasure and joy he would give to holidaymakers for years and years to come. Before he died, Oliver Messel was commissioned by the Barbados Government to restore the British Officer Garrison headquarters. The Garrison was one of the largest in the British Colonies during the 18th and 19th century and consequently is of great historical importance and interest. Over the years the Garrison area expanded to the Savannah which is now where the Barbados Racing Club has its Grand Stand. 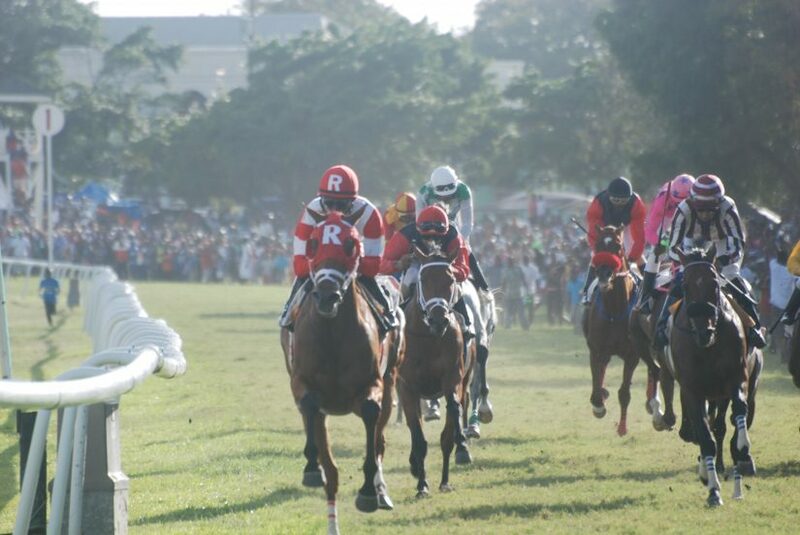 The annual Barbados Gold Cup takes place at The Savannah every on the first Saturday of March each year. Messel’s personal favourite house was Fustic House. It was originally an 18th century stately home on 11 acres which he took and transformed into a Messel Masterpiece. This beautiful seven-bedroom Barbados Home may now be rented and is one of the most popular luxury villas on the West Coast of Barbados. It is located just 200 feet from the sea in an elevated site and has the most stunning views and tropical gardens. Today, anyone lucky enough to stay at Fustic House will get to experience their own butler, private chef and housekeeper as well as a piece of Barbados History. Oliver Messel’s Barbados Holiday Homes had a couple of other very distinctive recurring elements. One was the use of his signature colour which was a light green. This sage green is still affectionately known today as “Messel Green” and further enhanced the smooth transition from inside to outside. Messel also used a lot of open coral stone in his work which is still used today in many of the new Holiday Rentals in Barbados. 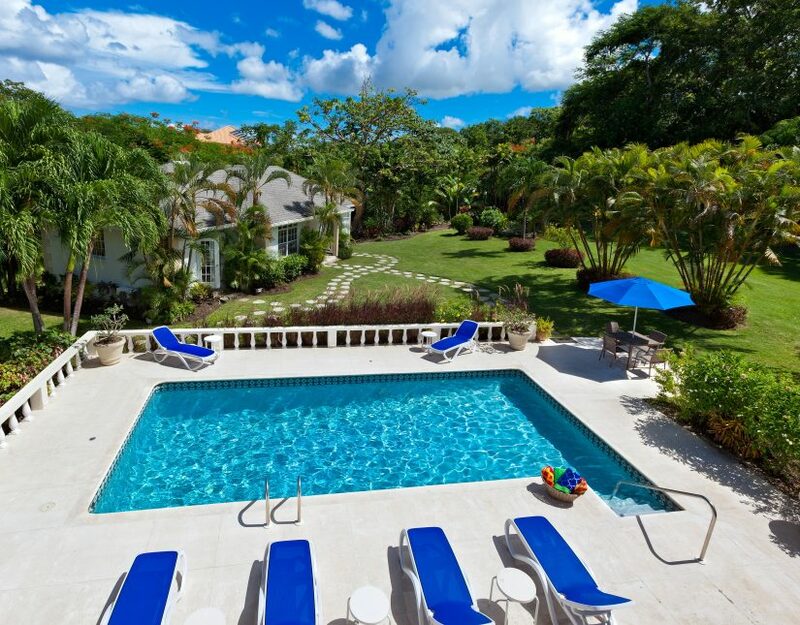 A good example of this is Casablanca located in the very exclusive Sandy Lane Estate. Oliver Messel’s famous connections to Lord Snowdon who married Her Royal Highness Princess Margaret further helped Barbados in gaining popularity among the rich and well connected. 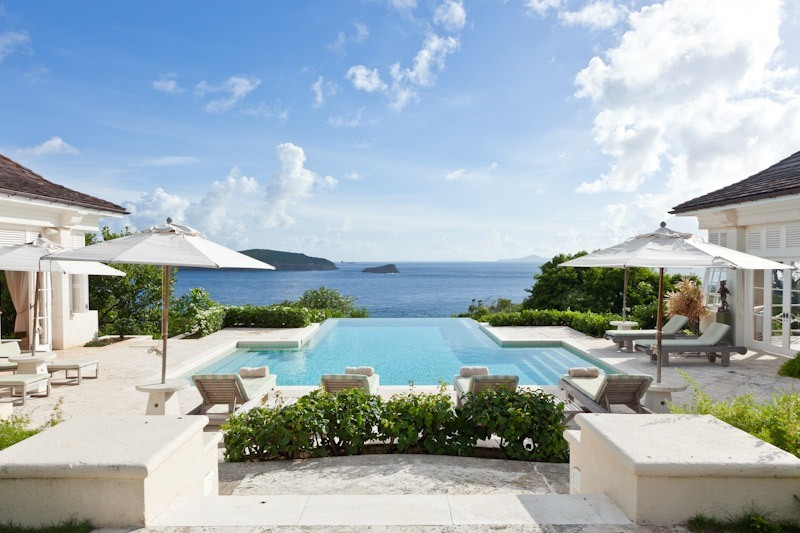 Oliver Messel didn’t just design homes in Barbados, he also famously designed Princess Margaret’s former home called Les Jolies Eaux on the beautiful island of Mustique. 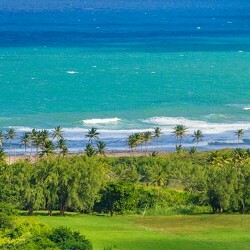 Pointe Lookout which has one of the best locations in Musique and is currently owned by famous singer and songwriter Bryan Adams was also designed by Oliver Messel. In and around the same time that Oliver Messel was making his mark, Barbara Hill from England moved to Barbados and also became a leading architect contributing some of the iconic holiday homes to the island. She was involved in the Barbados National Trust and a founding member of the local institute of Architects. Her most famous creation was Nelson Gay . It is another one of the iconic holiday homes in Barbados. It was originally built for the US Ambassador Robert M Scotten who was a personal friend of FD Roosevelt. Nelson Gay has one of the best locations on the island. 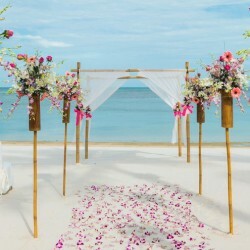 It sits on a pristine stretch of beach and has beautiful and romantic tropical gardens and an impressive 50-foot pool that flows down to the sea. 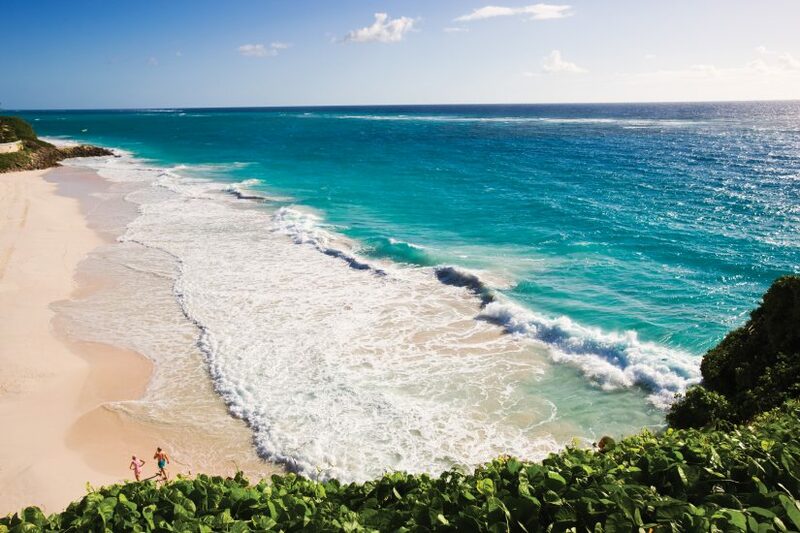 More recently, Barbados has become the go-to place for celebrities, film stars, rock stars and supermodels. Simon Cowell of the X Factor rents Number one Sandy Lane every year. 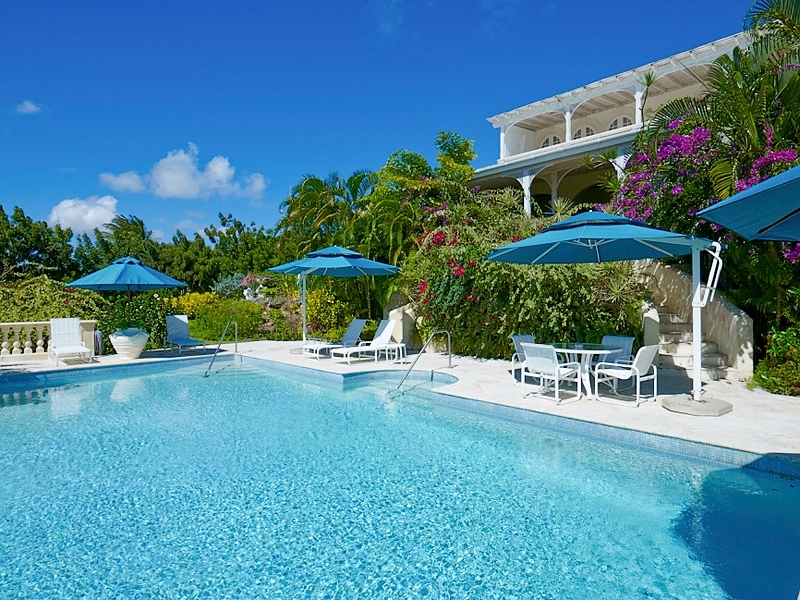 Cilla Black’s beautiful Barbados Holiday Home Reeds House may also be rented. Cliff Richard has lived in a mansion in Sugar Hill for years, and Wayne Rooney and his Wife Coleen own a Barbados Holiday Home in the very exclusive Royal Westmoreland Estate. If you fancy being their neighbour for a while, consider renting one of the beautiful Westmoreland homes such as Fig Tree House Barbados or one of my personal favourite Barbados Holiday Homes Monkey Puzzle. Barbados also has its fair share of famous locals. Probably the most famous of all is singer Rhianna who is often seen back on the island and rents some of the most luxurious holiday homes when she comes. In recent years, she is known to have stayed in The Smugglers Cove Penthouse on Payne’s Bay, One Sandy Lane and Plantation House which is a stunning mansion located on the Royal Westmoreland Estate. 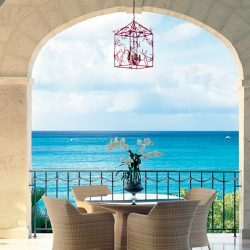 Another important milestone in Barbados becoming one of the most popular and fashionable holiday destinations in the world was when two of the islands most iconic hotels opened their doors. 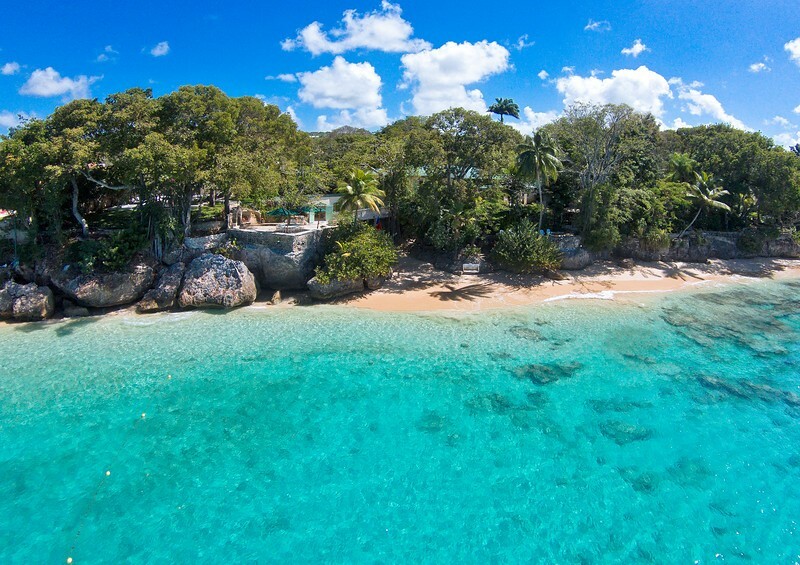 First came the beautiful Coral Reef Club which was built by Budge and Cynthia O’Hara who first came to Barbados in the 1950s to spend their honeymoon on the island. 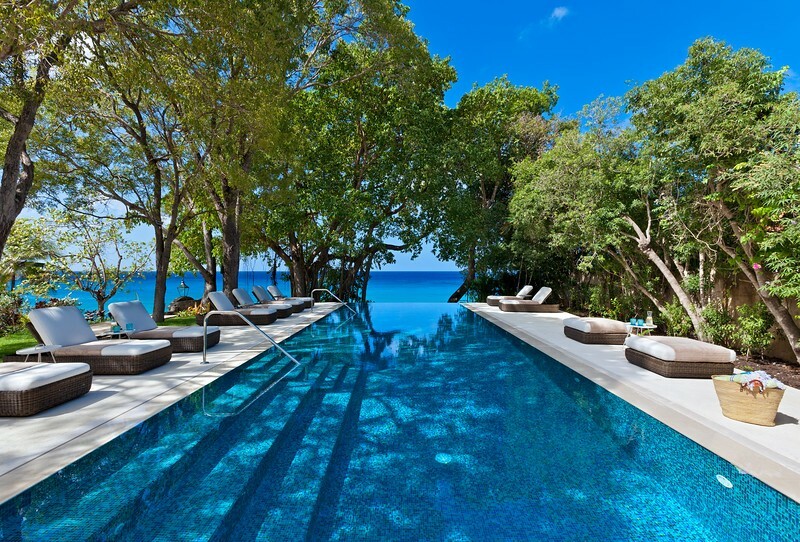 The Coral Reef Club was quickly followed by The Sandy Lane Hotel which welcomed its first guests in 1961. Sandy Lane was built by a former British Politician by the name of Ronald Tree. When it first opened, the hotel had just 52 bedrooms, but it quickly became known as one of the worlds most elegant, luxurious and sophisticated hotels — a reputation which the hotel still has to this day. Since it’s opening, Sandy Lane has had several owners including Sir Rocco Forte. Today Sandy Lane Hotel is owned by well-known businessmen Dermot Desmond and JP McManus who have brought the hotel to a whole new level as well as adding one of the world’s most exclusive and sought-after golf courses designed by Tom Fazio and some of Barbados’ most exclusive and most luxurious holiday rentals. 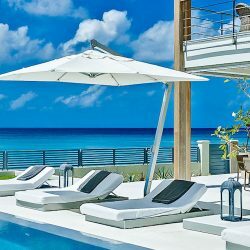 Barbados holiday homes such as Rose of Sharon, Aliseo and Tradewinds will undoubtedly become some of the iconic Barbados holiday homes of the future. There is no doubt that tourism to Barbados became very fashionable in the sixties and seventies, but tourism to Barbados first started in the Victorian era in the late 1800s. 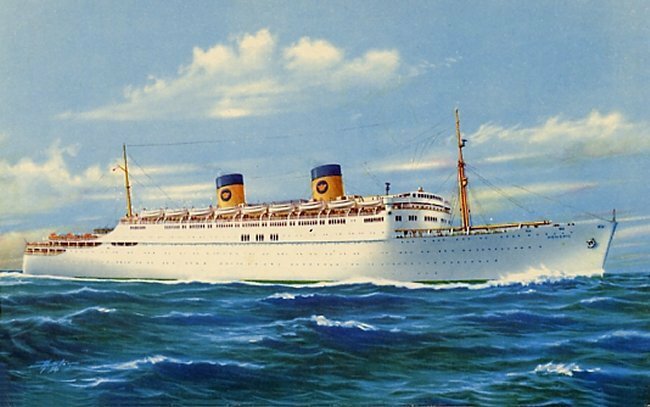 In those days, people travelled to Barbados from Great Britain via great steamships. The 1880s in Barbados was a very critical period for the economy of the island as the sugar production was experiencing an enormous decline and the early pioneers quickly recognised that tourism had great potential to fill the economic gap. Some of the earliest hotels included The Marine Hotel in Bridgetown and the Crane and Atlantis Hotels which were recognized as some of the world’s first health resorts. What’s really interesting is that some of the main attractions for the early visitors to Barbados such as St Nicholas Abbey, Farley Hill, Codrington College, St John’s Church and Sam Lord’s Castle are still some the top five historical and cultural attractions today. Tourism to Barbados and the subsequent popularity of Holiday Rentals in Barbados received a major boost when The Seawell Airport, now named The Grantley Adams International Airport started taking passengers flights in 1939. At first, the runway was just a grassy strip, and the terminal building was a shack. In 1949, the runway was paved for the first time, and the shack was replaced by a proper building. Today, The Grantley Adams Airport is one of the busiest airports in the Caribbean welcoming over one million visitors each year. 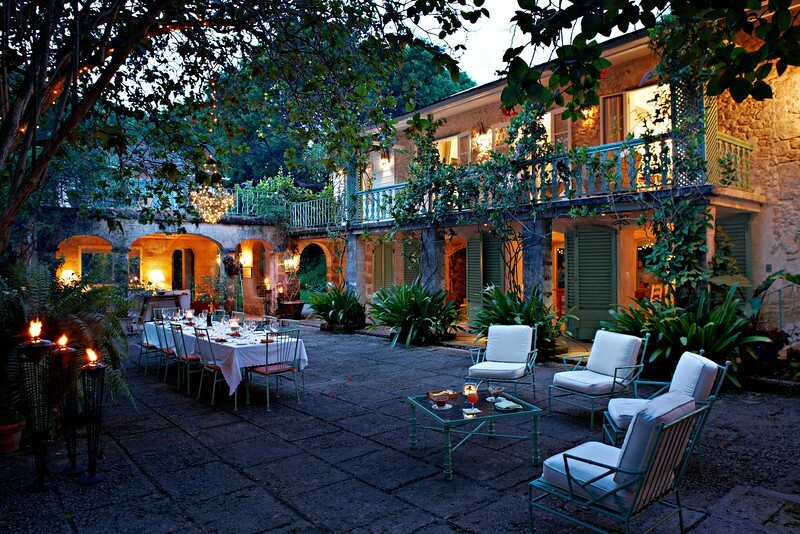 Barbados truly has some of the most iconic and beautiful holiday homes in the Caribbean. Most of the islands most luxurious and popular homes were built during the sixties and seventies. Timeless masterpieces that will continue to welcome guests to the beautiful island for generations to come. We would love to add more to the history of holiday homes in Barbados, so please let us know any important information that merits being included.